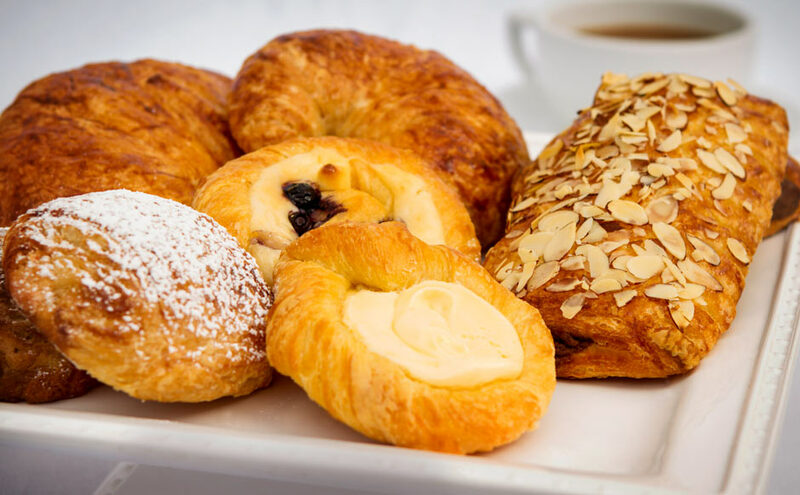 – Buttery, flakey croissants plain or with various fillings. – Fluffy and flakey pastry, topped with fruit preserves, custard, or cream cheese. – Buttery scone filled with blueberries.